What Schools Offer Software Engineering Programs & Related Degrees in DE? If you are seeking a software engineering degree program offered by a school based in Delaware you may be out of luck at this point. There many great colleges and universities in Delaware, however, these schools have yet to develop a software engineering focused software engineering degree at the undergraduate level. There are some online options where schools from other states make their software engineering degree programs available online to residents of Delaware. There are colleges and universities offering computer science and computer engineering degree programs at the undergraduate level in Delaware. Computer science is different than software engineering and focuses more on the research, mathematics and algorithms. This being said there are many computer science graduates that work in the field of software engineering since there is cross-over. 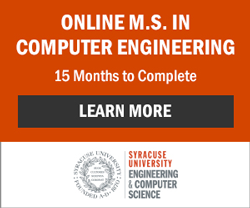 Explore the schools listed below offering computer science degrees and read about online software engineering degrees as an alternative. You'll also find computer engineering programs.